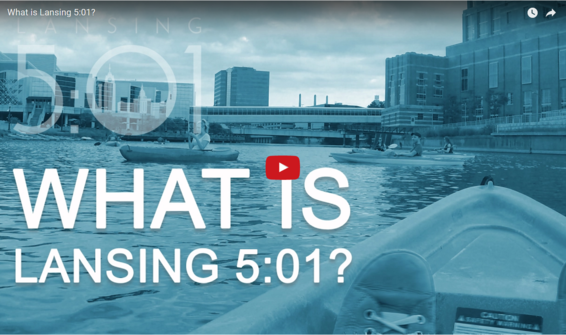 By participating in Lansing 5:01, interns have the ability to connect and create relationships with other interns, young professionals, and top employers in the Lansing region -- all while experiencing the sights, sounds, and activities in Lansing. This engagement will create lasting connections to the community, and show interns that Lansing is a growing destination for arts, culture, and activity. And with more young professionals in the area, employers can capitalize on stronger talent pools and grow their talent pipeline for today and tomorrow's workforce. Visit http://www.lansing501.com/ to learn more about this initiative and to sign up for upcoming events. In the world of technology, submitting an application online is simply not enough. Some job search engines show how many other applicants there are that applied for the job. With my own job hunting experience, I’ve seen 500 or more applicants and would automatically get discouraged from applying. I knew that finding the right entry level position would be difficult but I discovered that it is very competitive. There are a lot of people that have the educational background and job-related experience that the job requires. So how does one stand out from the crowd? I started using LinkedIn because my professor suggested that I create an account. But most recently, as a soon to be graduate, I’ve decided to use LinkedIn to apply for jobs, connecting with employers from companies, and comparing my qualifications to someone in my desired position. 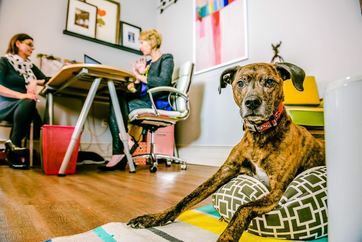 An article by WorkitDaily, 4 Ways to Stand Out to Employers, the second way listed was to “contact the HR director directly.” Although it may be difficult to connect with strangers, LinkedIn is used to make this task easier. Making the initiative to personally contact the HR director of a company makes you stand out from everyone. In a competitive and digital job market, it’s important to make yourself memorable to land your next internship or your next your dream job. To find valuable internship opportunities, visit Pure Michigan Talent Connect at mitalent.org. 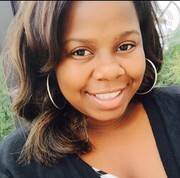 LaTya Jefferson is a Talent Team intern with the Michigan Economic Development Corporation, working to develop content for our external and internal newsletters, highlighting success stories, programs, and resources for business attraction. 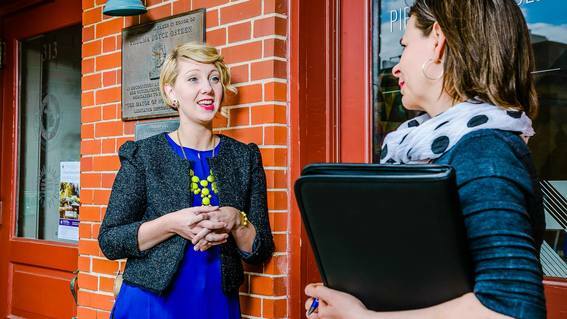 As a Michigan State University alumna and Michigan business owner, Kate Snyder uses the state’s resources to help grow Michigan’s economy. Although Kate had several opportunities to leave the state and do great things, she built a career in her hometown, while creating opportunities for others. The company she founded, Piper and Gold Public Relations, is a boutique agency which means it’s small by choice and highly specialized. Through her business, Kate and her team are working to transform the economy and community of Michigan to reach its “vibrant and thriving” potential. She serves a variety of clients including government agencies, nonprofits, associations and small businesses while empowering others to make a difference. Not only has Kate helped her clients but she’s also connected students to opportunities within her company. A Piper and Gold internship is a one of a kind program that gives students’ hands-on experience and Kate has been able to hire two interns with the help of the Small Company Innovation Award (SCIA). The SCIA grant is provided through the Michigan Corporate Relations Network whose mission among other things is to set up university-to-business connections. SCIA offers Michigan businesses the opportunity to hire qualified students to work as interns or co-op students on innovative, mutually beneficial projects, providing 1:1 matching funds for 10-16 week internships. To find out more information about the Small Company Innovation Award, visit http://www.michigancrn.org/. Are you a college student who is looking to acquire an internship? Visit Pure Michigan Talent Connect for the latest internship opportunities across Michigan. Join the DCECU team today! About: The goal of Dow Chemical Employees’ Credit Union has always been to serve the members to the best of our abilities and provide them with the best value for their money. Every day, we continually strive to improve our level of service by keeping our common focus on the members. About: MMI Engineered Solutions is in the business of innovation, both in what we do and how we do it. We offer competitive pay, market leading benefits and a culture that supports individual development and advancement. We are a member of the Proud to Manufacturing in Michigan organization and we are looking to grow our team. If you are interested in working in a fast paced, energetic team environment then consider MMI Engineered Solutions today! Located at: Glen Oaks Gymnasium, 62249 Shimmel Rd., Centreville, MI 49032. Free bus transportation is available through the St. Joseph County Transit Authority with 24-hour notice. To see a full listing of all employers that will be in attendance or if you are an employer wishing to register a booth for the Job Fair, please check out our Job Fair Employers page. Detroit, Michigan – Whether hoping to find a fresh start, a better job, or a new career direction, job seekers will find a wealth of exciting opportunities at this free job expo. 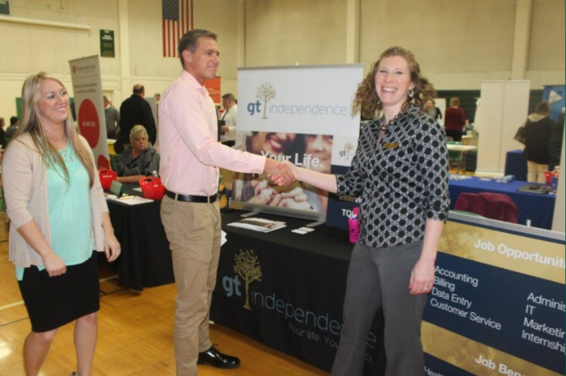 A variety of employers from both the public and private sectors will be eager to hire for immediate openings in a wide range of fields including Engineering, Information Technology, Skilled Trades, Seasonal, Manufacturing, Production, Industrial, General Labor, Customer Services, Retail, Management, Restaurant, Accounting, Banking, Office Support, Clerical, Data Entry, Call Center, Installation, Technical, Machining, Electrical, Mortgage, Financial Planning, Insurance, Education, Truck Driving, Real Estate, Nursing, Rehabilitation, Human Services, and other career fields. 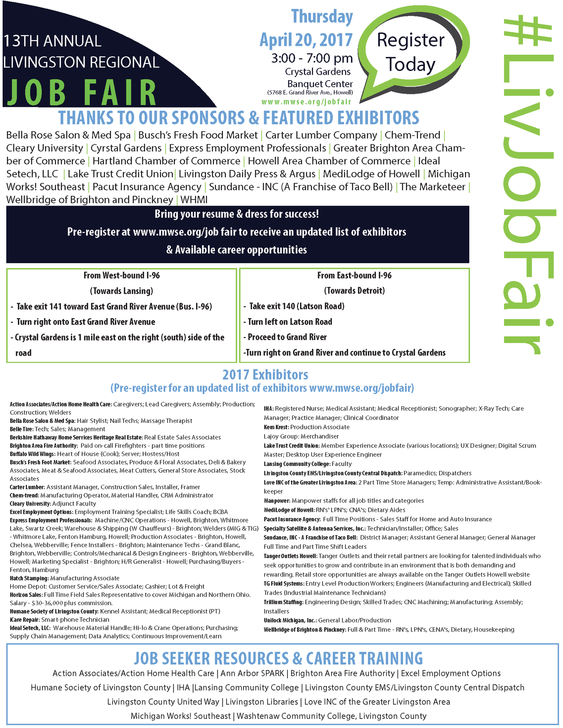 JobFairGiant.com is hosting the Michigan Hot Jobs! Expo on April 28, 2017 from 9:00 to 3:00 at the Crowne Plaza Hotel located at 27000 S. Karevich Dr., Novi, Michigan. There is a growing need to hire experienced professionals, college alumni, military veterans and entry-level workers to fill over 500 positions at the upcoming job expo; featuring 50 employers including Mass Mutual Metro Detroit, Goodman Network, Global Information Technology, New Horizons Computer Learning, Jan Door, CLS Uniform and Linen, Robert Half, Guardian Alarm, Focus Business Solutions, Just Energy, Foundation Systems of Michigan, PVS Chemicals Inc, Weedman Lawn Care, Eradico Pest Control, Primerica Financial Services and many more companies. 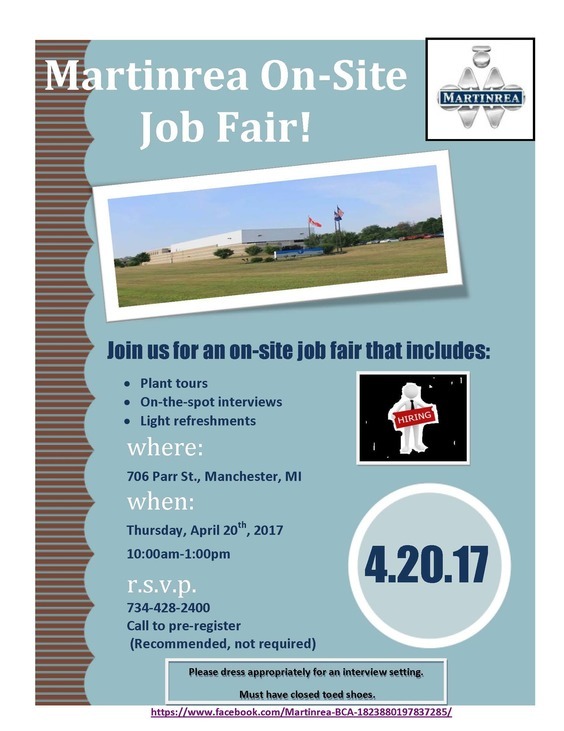 Job Fair attendees will have the opportunity to tour the facility, meet with the Crest Marine leadership, and fill out an application. Select applicants may be interviewed on site. 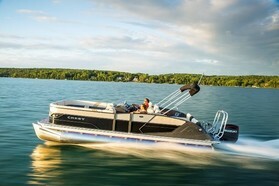 Why Work At Crest Marine? Crest believes that their success is based upon their people. In support of that, the company offers a variety of benefits and incentives to their team, including paid holidays, vacation time, 401k, 50% coverage of medical insurance with dental and vision also available, and employee appreciation events. Want to give us suggestions for the newsletter? Click the link below to provide feedback. We truly value your suggestions and thank you in advance!